Plant City baseball’s forced forfeiture of the Saladino Tournament championship game win is a bummer for the team, but the rules are the rules. Last week wasn’t the best time to be a fan of Plant City High School’s baseball team, as evidenced by Raider Nation’s social media activity. 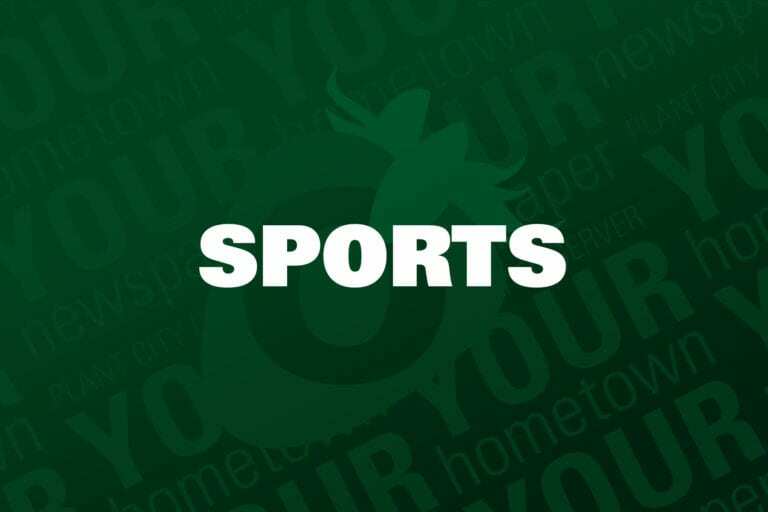 The FHSAA-mandated forfeit of the team’s Saladino Tournament championship win — the school’s first ever title in the long-running tournament — burned many fuses online. I totally get it. If you’re a PCHS fan, it must seem like the smallest possible thing to nitpick. Jarod Wingo went over his FHSAA-mandated pitch count with the last batter of the game and threw just four more pitches to him than he was supposed to. Head coach Mike Fryrear told me he forgot Wingo is 16 and not 17, meaning the previous batter put him over the 95-pitch limit (though the FHSAA does allow a pitcher to finish an at-bat if they go over the mark during it) and he should have been taken out of the game immediately before facing what would be Durant’s final batter. Raider Nation has every right to be disappointed that this happened. But that’s about where it ends in my book. Though I believe it wasn’t the grossest possible violation of the rule, it’s still a violation of a rule that’s been around for two and a half seasons. I’d say both the violation being reported and the FHSAA’s handling of the situation were justified. While it’s fair to argue the violation was pretty minor since Wingo only threw four more pitches than he was supposed to and that’s what the final box score reflects, you also have to acknowledge it wasn’t guaranteed he’d only face that one last batter. What if he gave up a base hit or a walk on pitch 101 and had to keep going? Then one batter too many turns into two batters too many, and then the odds of even going over 17-year-olds’ 105-pitch limit go way up. Longtime readers of this column know I’m not the biggest fan of the FHSAA and have criticized its rules and policies many times over the years, but this is one where I have no bones to pick. They got it right. As far as the Saladino Tournament’s upcoming decision on whether to let PCHS keep its win status in its own record books goes, I understand the arguments for and against it and won’t criticize their decision. The tournament officials have every right to decide whether to recognize FHSAA protocol there or go with their own, as a tourney run independently of the FHSAA. Whether the Raiders get struck from the Saladino record book or stay in there, perhaps with an asterisk next to the championship win entry, it is what it is and it sounds like we’ll know more next week. This particular rule took effect beginning in the 2017 season and was designed specifically to preserve pitchers’ arm health. Though not all kids grow at the same rate, the rule does make sense and I don’t think it was drawn up with an absence of logic like I do with the “Choice in Sports” bill. Arm health is a real concern in baseball and any coach with their head screwed on properly will tell you exactly why pitch counts matter and why kids shouldn’t even think of throwing curveballs until they’re teenagers, among other things. There are risks involved and the last thing you want is career-altering (or ending) damage done. Even at the highest level, we’re seeing Major League Baseball managers pull pitchers earlier and more often than they were even just a few years ago for arm preservation reasons. I talked to Fryrear several times last week and he maintained he takes “full ownership” of the situation. The school was fined $100, the win was revoked, Fryrear didn’t coach in the March 26 game at Riverview and Wingo was placed on a mandatory rest period I’m told he would have been on anyway for having thrown so many pitches in that game. What’s done is done, whether it stings or not, and all the PCHS coaching staff can do now is learn from it. No one needs to worry about hearsay or look for a straw man because there is absolutely no question Wingo was kept in the game for too long. Nothing is going to change that because there is no gray area there. Not one person I’ve spoken to who was involved with the game has challenged the fact the pitch limit was passed. Yes, I do feel bad for Wingo and the PCHS players. It’s not their fault this happened and that their hard-earned milestone Saladino win was taken from them in some capacity. Wingo pitched an incredible game — hence his Athlete of the Week feature in last week’s issue — and has been praised heavily at both Raider Place and Cougar Path for that gem. Now it’s got some baggage associated with it that he probably didn’t want. I also feel bad for Durant here. It’s hard not to. Had the Raiders taken Wingo out of the game when they were supposed to, there’s a chance — note that I didn’t say “guarantee” — the Cougars could have worked their way into another seventh-inning comeback like they did against Armwood and Strawberry Crest. They’ll never get to find out how they would have fared in fair play against a PCHS reliever. Much like the end result of the game, no one wins now. These two teams are going to play each other again Friday night and there’s no way the crowd energy won’t be escalated to a 10. Before anyone goes and does anything regrettable on or off of social media, know that I’ve had conversations about this game and the subsequent ruling with both Fryrear and Butch Valdes of Durant and they told me, separately, they’re not looking for any bad blood between the programs. That includes the fanbases. Let me make clear exactly why this isn’t worth anyone getting angry and starting stuff over: it could have been so much worse for Plant City. Other than one win and one set of trophies, this changed nothing about Plant City’s season. It’s still true that PCHS is having one of its best seasons in a long time, if not ever. Its FHSAA postseason goals — definitely the most important ones, in my opinion — are still very much in play. This didn’t take away a district title win, which would also be the school’s first ever. This didn’t take away a win in regionals or states and completely knock a good team out of the bracket. This didn’t end the season early. It could have been so much worse. Keep your heads up, Raider fans. The team’s not done yet.